Mark Ennovy Gentle 59 lenses Custom design for every patient! 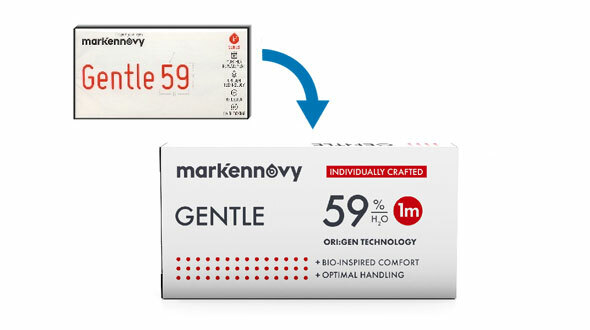 Gentle 59 is a new brand of contact lenses , manufactured by Mark'Ennovy, a national manufacturer, specializing in personalized high-end contact lenses. Custom lenses: Custom design for each eye in all geometries. The professional must measure all the parameters necessary for a good adaptation and the lenses will be made to the exact size of your eye and your refractive defect. Comfort: Latest manufacturing technology that offers high wettability combined with a low coefficient of friction. The lens dehydrates less than 1% after all hours of use, remaining with stable characteristics and parameters from the first hour to the last. Relaxed vision: lasting comfort throughout the day, you will forget that you wear glasses, enjoying a great vision and increasing your quality of life. Cheap Gentle 59 lenses can be found in four different geometries, depending on the visual defect they correct. Spherical : correct myopia until -30.00 dp and hyperopia until +30.00 diopter, this manufacture is carried out respecting steps of 0.25 dp, so that the refraction is exact, defined and complete. Toric : Correct myopia and hyperopia of up to 30 diopters and astigmatism up to 8.00 diopters. Spherical Multifocal: for people with presbyopia or eyestrain, myopia and hyperopia and with additions up to 4.00. Multifocal toric: for users with presbyopia or eyestrain, myopia and hyperopia and with additions up to 4.00 and also with astigmatism up to 8.00 diopters. Being special manufacturing lenses, we have radii of curvature for all corneas, from 7.10 mm to 9.80 mm in steps of 0.30 mm. The same is found in the diameters of lenses (very important factor to obtain a good adaptation), varying from 13 mm to 16 mm in steps of 0.50 mm. These custom-made monthly lenses include in their structure a dye of manipulation, facilitating its handling since it makes them more visible inside and outside the case. This factor is very important for people with high graduation and therefore visual difficulties, without graduation, very important. They also include UV filter, increasing the natural protection of the eye from solar radiation. It is important to mention that, in addition, sunglasses of quality must be used, in this way, we will increase the UV protection to 100%. The Gentle 59 online lenses have a medium water content that keeps them very stable in the eye, providing great comfort, in addition, it is possible to correct very special parameters, being ideal for users with both normal and special graduation, providing good vision in each and every one of its geometries. Patients with special parameters, whether due to high graduation in myopia, hyperopia or astigmatism, radii of curvature different from standardized or especially large or small corneal diameters. 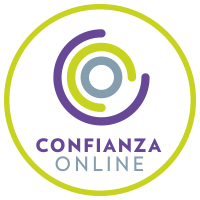 Users who are not comfortable with their usual lenses and want to change to personalized lenses, always under the supervision of the optician. Patients who abandoned the use of cheap contact lenses for dissatisfaction and want to resume adaptation. 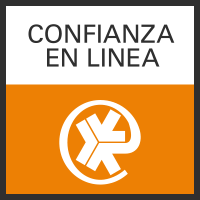 In Prodevisión you can buy cheap Gentle 59 contact lenses with secure payment.